CRAZY LOVE. Music by Nick Cave with lyrics by Marianne Faithfull. 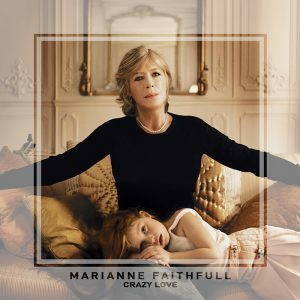 Marianne is backed by Cave together with Warren Ellis, Jim Sclavunos and Martin P Casey from the Bad Seeds. The track was co-produced by Nick Cave and Hal Willner. 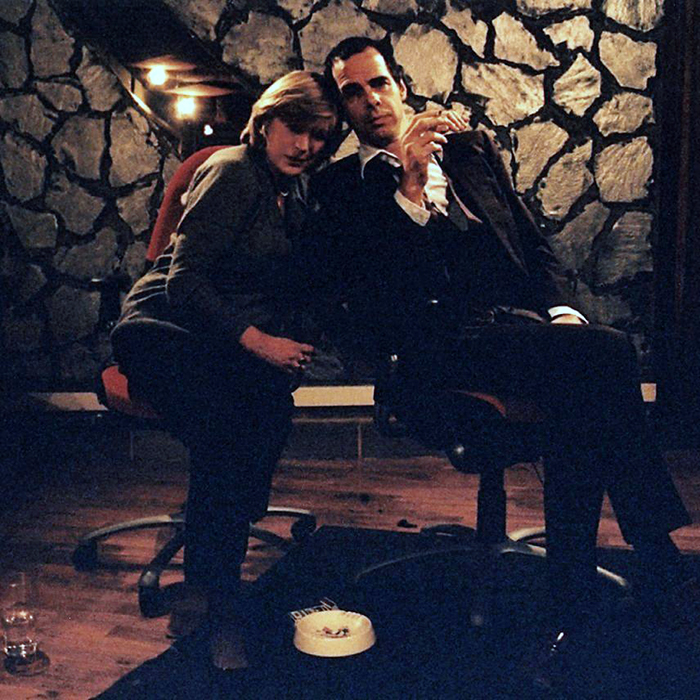 Marianne with Nick Cave when they worked together on Before the Poison. LAST SONG. Music and lyrics by Damon Albarn with additional lyrics by Marianne Faithfull. Marianne is backed by Adrian Utley on guitars and bass; Rob Ellis on piano and percussion; Catherine Browning on violins and Andy Nice on cello. The strong arrangements are by Rob Ellis, who also produced the track in partnership with Head. NO CHILD OF MINE. Music and lyrics by PJ Harvey. 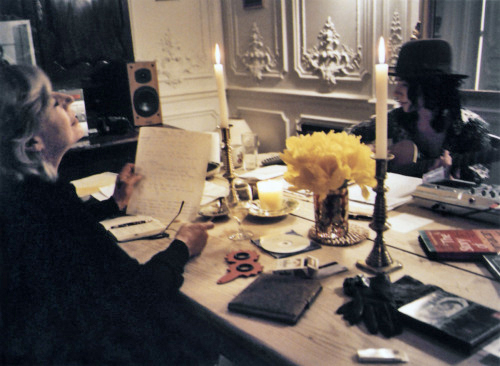 The track features Marianne’s vocals with PJ Harvey on backing vocals, guitars, piano and bass; Rob Ellis on drums and piano and Adrian Utley on bass synth. The track was produced by PJ Harvey. BEFORE THE POISON. Music by PJ Harvey with lyrics by Marianne Faithfull. The track features PJ Harvey on guitar, piano and backing vocals together with Rob Ellis on drums and percussion and Adrian Utley on bass and guitar. The track was produced by PJ Harvey. THERE IS A GHOST. Music by Nick Cave with lyrics by Marianne Faithfull. Recorded with Cave and Bad Seeds’ Warren Ellis, Jim Sclavunos and Martin P Casey. The track was co-produced by Nick Cave and Hal Willner. IN THE FACTORY. Music by PJ Harvey with lyrics by Marianne Faithfull and PJ Harvey. The track features PJ Harvey on guitars, slide bass and synths together with Rob Ellis on drums and Adrian Utley on guitar and bass. It was produced by PJ Harvey. DESPERANTO. Music by Nick Cave with lyrics by Marianne Faithfull. Recorded with Cave and Bad Seeds’ Warren Ellis, Jim Sclavunos and Martin P Casey. Co-produced by Nick Cave and Hal Willner. CITY OF QUARTZ. 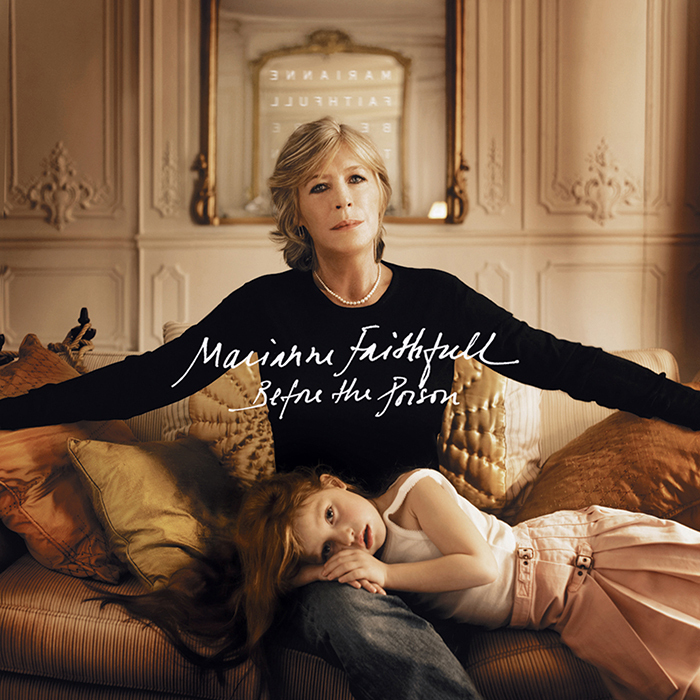 Music by Jon Brion with lyrics by Marianne Faithfull. Jon Brion is the celebrated American composer, producer and songwriter who built his reputation working with such artists as Aimee Mann, Rufus Wainwright, David Byrne and The Eels. This track features Adrian Utley on toy piano, paintbrush guitar, sampled dictaphone of a marxophone originally played by Jon Brion; Diana Gutkind on piano; Rob Ellis on fake piano, fake vibraphone, fake glockenspeil and fake clockwork mechanisms; Catherine Browning on violins and Andy Nice on cello. The string arrangement is by Rob Ellis, who also produced the track in partnership with Head.